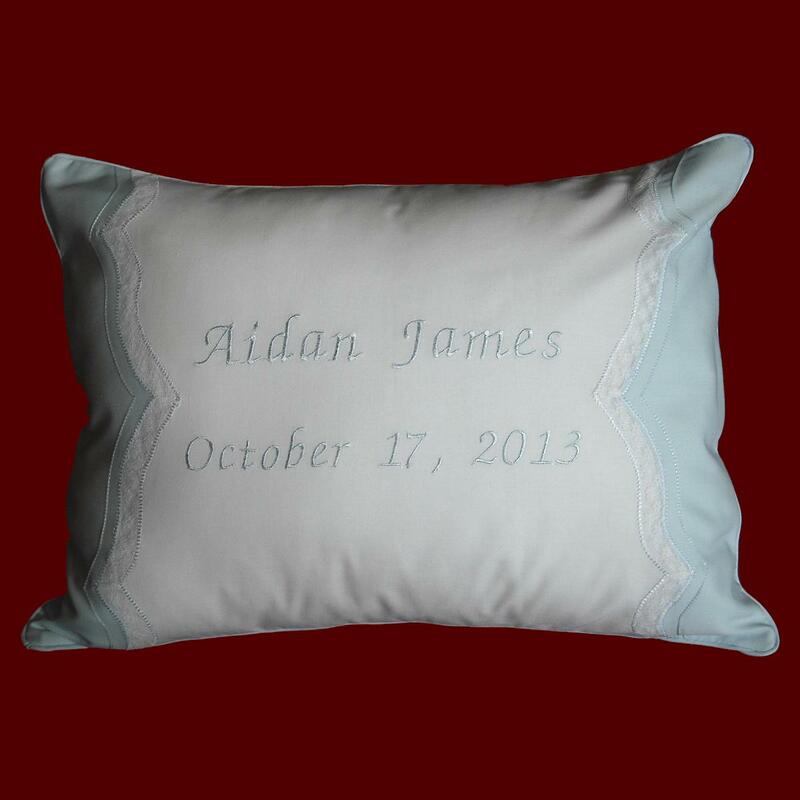 Wonderful keepsake gift for the new baby ~ this detailed cotton batiste pillow features scalloped lace and pintucks with gathered lace ruffle & ribbon bows for girls (shown) or with piping around the outer edge for boys. 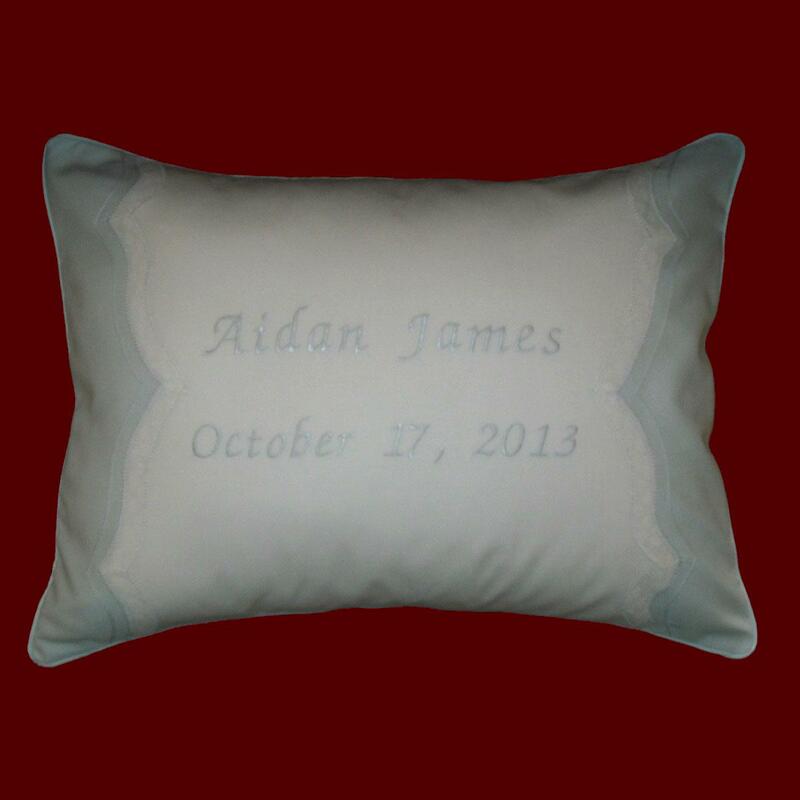 Personalized in pale pink or blue lettering with baby's name and birthdate. Irish accents may be added to all items on this website. 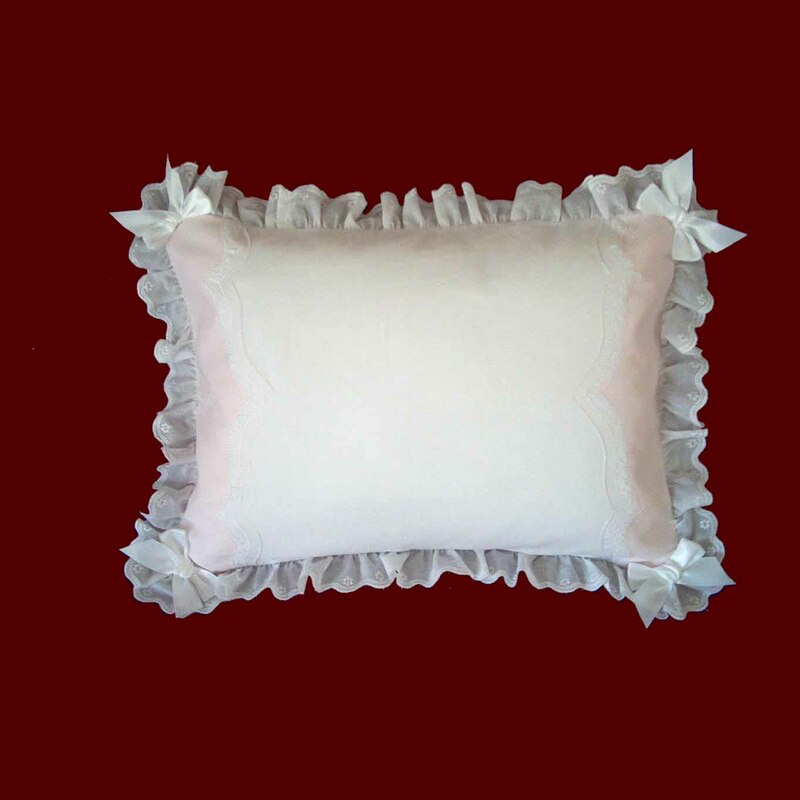 Pillowform size 12" x 16" (excluding lace ruffle). Envelope back to remove pillowform for easier washings.